Do you think you might have a food allergy or sensitivity, but you aren't sure which foods to blame? Are you experiencing skin flare-ups, digestive issues, moodiness, or brain fog after meals? An elimination diet might be just what you need. Elimination diets are "short term eating plans that eliminate certain foods that may be causing allergies and other digestive reactions--then reintroduce the foods one at a time in order to determine which foods are, and are not, well-tolerated." It's estimated that over 15 million adults in the U.S alone suffer from food allergies and sensitivities. An elimination diet can help you pinpoint what is causing yours, and guide you in taking steps to heal your digestive system. Which foods are removed during an elimination diet? How long does an elimination diet usually last? Most diets last about 3-6 weeks. Antibodies--the proteins your immune system makes when it reacts to food--take about three weeks to dissipate. This is the minimum time needed for someone to fully heal from sensitivities, and notice improvements. What are the benefits of an elimination diet? Elimination diets are not for losing weight, so don't think of them as quick ways to drop pounds. The goal is to heal your body. This diet shouldn't last for more than 6 weeks--stay on it just long enough to pinpoint foods that aren't working for you. Continuing to follow such a strict diet for longer than 6 weeks can begin to deprive your body of the nutrients it needs to keep functioning at 100 percent. Not sure how it's possible to cut so many foods out of your diet for 3-6 weeks, without running out of meals to make? There are tons of good websites that have elimination diet recipes, tips, and advice available to you for free. Or, you can stop by Nature's Finest Nutrition--we're always happy to help! Over the years, soy has developed a bad reputation. Fear of hormone disruption, poor mineral absorption, digestive issues, and other woes has grown so widely that people fear ingesting soy in any form. However, soy continues to be a staple in the diets of some of the healthiest communities in the world. Here, we will attempt to discover the truth. Is soy good or bad? Firstly, it is important to recognize there are two different kinds of soy: fermented, and unfermented. Most studies that show detrimental effects of soy are using unfermented, GMO, conventionally-grown soy. These studies are also often done using rats, and humans differ anatomically from rats. More importantly, rats and humans utilize soy in different ways. For instance, soy isoflavones have been found to inhibit the synthesis of thyroid hormones in rodents, but studies have not found the same effect in humans. As for the claim that soy can alter estrogen levels in the body, this is a misconception. The phytoestrogens found in soy are not the same as estrogen. Only animals or people can make estrogens. Plants cannot. Plants do contain phytoestrogens. These are so named because they are similar in structure to mammalian estrogens, but they do not affect the body in the same way, i.e. interrupting menstrual cycles, or giving men feminine qualities unless eaten to excess. This takes 12 servings a day! The medical solution to acid reflux or heartburn typically involves one of two medications: proton pump inhibitors (PPIs) or antacids. Beta Gest, on the other hand, helps balance the stomach for optimal digestion. Steve and Jan S. Stomach problems run in my family. I came to see Jim, who gave me Beta-Gest. Now I have not had stomach problems. Mark R. I have had stomach problems for years. Two and a half years ago, I started taking Nexium. Now I’m on Beta-Gest and Aloe, and am doing better than ever. My whole family is taking supplements. Disclaimer: We do not directly or indirectly give medical advice or prescribe through alternative treatment. We recommend that people contact their doctor if they need a medical diagnosis. We assume no responsibility if anyone decides to use this information, which is of historical value, for they are choosing to prescribe for themselves. Healing is sometimes a slow process, and we suggest that you do not stop taking any medications without the guidance of a doctor. It's time for another staff spotlight! We have several employees at Nature's Finest Nutrition, and each has a special story of his/her journey toward better nutrition and health. For the next few months, we'll highlight one staff member every few weeks and share with you our personal paths to better health. I first came to Nature's Finest Nutrition as a customer ten years ago. I was talking to a friend one day and mentioned that I didn't feel well. She referred me to Jim. My husband and I and our two kids, a son and a daughter, came together. We'd been trying to get healthier. We were eating better and after our initial visit, started supplementing with products we bought here. We got off sodas and refined sugar. Donuts. We were still using fructose from corn, which was still technically white sugar. Jim helped us get off that. Then we got off hydrogenated oils, any kind of food dyes, and all artificial flavorings. Shortly afterward, when we were in the shop one day, Jim asked if I'd be interested in working here. I was hesitant at first. I homeschooled my kids, and I wasn't sure I could do both. Jim didn't bat an eyelash. He said I could bring the kids and homeschool them here. I couldn't say no. I started working Wednesday mornings and Saturdays when they needed me. For a while, things were great. I was learning about herbs and their many uses. We started fighting all infections with them. We used a lot of Anthroxene and Nature's Sunshine's Silver Shield. My husband used Sinus Support. Though you may have to take a lot at once, the herbal supplements worked better than prescription meds and over-the-counter drugs. We still use them today. But then I got sick. I had health issues that seemed to come out of nowhere (though now, I realize they were possibly triggered by a bladder infection), and my doctor couldn't find a problem anywhere. He told me I had the flu. The symptoms went on and on for six months. 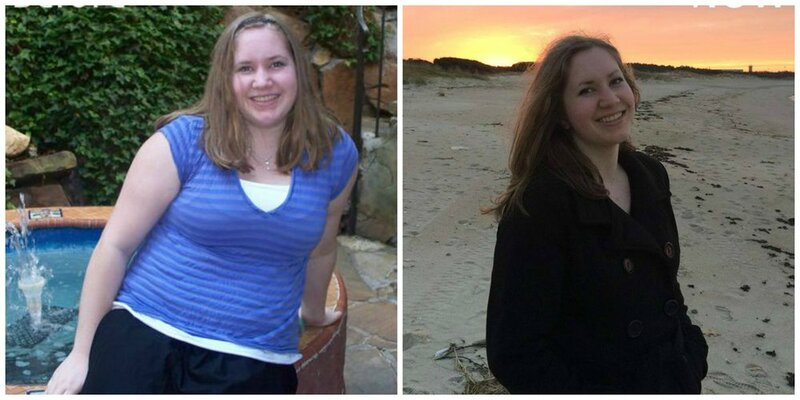 During that time, I lost 30 pounds and felt terrible. My energy was gone. I was in serious pain. Together with Jim and Pat, we tried to find the source of my health problems. At first, we thought it could be an issue with my gall bladder, so I changed my diet and took three gall bladder cleanses. I did one cleanse one weekend, and two more cleanses the next. That made three cleanses within eight days. I changed my diet to suit my gall bladder, too. I ate healthier foods - mostly wheat, wheat broths, toast, and potato soup. The more I ate, the sicker I made myself, all in the fervent belief that I was making myself better. I knew it wasn't the flu, though, that my doctor insisted upon, so we kept working. We thought my health issues might stem from a stomach ulcer, since my grandma had one, so I started drinking fresh cabbage juice for five weeks straight. I heard somewhere that healed ulcers, so that's what we tried. My kids helped me juice cabbages. I had to drink two or three glasses a day and eat only more bland foods. No coffee. I love coffee, but it was a sacrifice I had to make. The cabbage juice helped a little bit. It provided nutrients my body needed (namely, L-Glutamine, which is one of the best things to help heal Leaky Guy Syndrome), but it didn't ease my pain. That was still there and very, very severe. Next, I did a liver cleanse and some coffee enemas. Nothing gave me relief. I was getting sick after eating, and I had excruciating abdominal pain. We kept coming up blank in the idea department, and after targeting almost every bodily system and organ we could think of, I was close to giving up hope. One Thanksgiving weekend, Jim and Pat went to visit an uncle for the holidays and left me to run the shop. I was in so much pain I could barely sit in my chair, let alone stand. By the second to last day of their trip, I didn't think I'd make it. When they finally got back and walked in the door to see me, they couldn't believe I was sitting upright. They could see how horrible I felt. That's when they told me about Celiac disease. The uncle they'd been visiting had been finally diagnosed with it after being sick with symptoms similar to mine for over five years. I'd never heard of it before, but after we researched it, I realized I completely fit the bill. There were symptoms on the list that I'd been suffering with since childhood and had never thought they could be connected. Come to find out, Celiac can lie dormant in the body and is usually triggered during puberty. Why mine was delayed, I'll never know, but the more I read, the more I was convinced: I had Celiac disease. So I changed my diet yet again to eliminate all gluten and, for the first time in forever, my health started to improve. The pain finally started to ebb. Jim recommended some suppleme nts to help heal my gut (where Celiac disease originates) and to aid my digestion. I used Nature's Sunshine's Intestinal Soothe & Build, Carlson's L-Glutamine, and Enzymedica's Gluten Ease and Digest Spectrum. They each helped tremendously. My energy is back and the pain stays away. Unless I miss taking my supplements! With supplements and a careful diet, I'm able to more than function - I can live! Now that my kids are older, they're starting to show symptoms of Celiac, too. Fortunately, thanks to my experiences - horrible as they were - we're prepared. They're both transitioning to a healthier, gluten-free diet on top of their already processed food and sugar free diet. They're supplementing with the Celiac program now, too. This time around, we're prepared. We've got this. I plan to continue learning to improve my knowledge even more in the future. I believe in the power of herbs and proper nutrition. Without them, I wouldn't be leading the life I live today. 16 Reasons You Should Eat Sprouts...And Lots of Them. If you, like many people, are trying to make the switch from the standard American diet of sugar, hydrogenated oils, GMOs and packaged, processed foods to real, raw, whole foods organically-grown and packed to the brim with nutrients, then you may want to check out sprouts. Used in Asia for thousands of years as a cure for disease and still a dietary staple in most Asian cultures, sprouts h ave a long history of health. In fact, aptain James Cook used them to combat scurvy amongst his crew on the many two or three year trips he spent traversing the globe. They've only been used in the western world since World War II, when they were used as a sturdy source of vitamins, minerals, and other nutrients. Able to be planted and grown anywhere and at any time, without the use of soil, sprouts were used commonly throughout the war. Be creative. Sprouts can be used in a number of ways. You're only limited by your imagination! Growing sprouts at home is relatively simple and extraordinarily inexpensive. While it's possible to grow them in a Mason or Ball jar, it involves much more work than growing sprouts in a sprouting tray. In jars, sprouts have to be rinsed multiple times daily to prevent bacterial or mold growth, and trays produce a much larger quantity in half the trouble and without taking precious sink space. Before you can sprout seeds, however, they need to be soaked. Soak times vary, but the method remains the same. Simply soak seeds/grains/beans/nuts in a bowl for the time allotted on this chart. If the soak time is longer than twelve hours, change out the water and do so again every twelve hours until ready for sprouting. Rinse and strain seeds, nuts, beans, or grains. Add a dash of water - one or two tablespoons or so - to keep the sprouts slightly damp. There's no need to submerge them completely. Leave them out for the proper sprouting time based on the type of sprouts used. When fully-grown, rinse the sprouts and store in an air-tight container for up to a week, rinsing and switching them to a new container every day to eliminate contamination. At Nature's Finest Nutrition, we carry sprouting trays for a mere $24.95. Call to order or come in to get yours and start sprouting, today! Reach us by phone at (423) 899-8422 or by email at naturesfinestnutrition (at) gmail.com. Visit us on our website or Facebook! We're always happy to help! Please note: We do not directly or indirectly give medical advice or prescribe through alternative treatment. We recommend that people contact their doctor if they need a medical diagnosis. We assume no responsibility if anyone decides to use this information, which is of historical value, for they are choosing to prescribe for themselves. Healing is sometimes a slow process, and we suggest that you do not stop taking any medications without the guidance of a doctor. "The History of Sprouts & Their Nutritional Value." No date. http://www.isga-sprouts.org/about-sprouts/sprout-history/" Accessed 09 March, 2015. Josh Axe. "Sprout Guide: How to Sprout Grains, Nuts and Beans." No Date. http://draxe.com/sprout/" Accessed 09 March, 2015. Joseph Mercola. "Great Reasons to Eat More Sprouts." Published 09 February, 2015.
http://articles.mercola.com/sites/articles/archive/2015/02/09/sprouts-nutrition.aspx" Accessed 09 March, 2015. Joseph Mercola. "What Are Sprouts Good For?" No date. 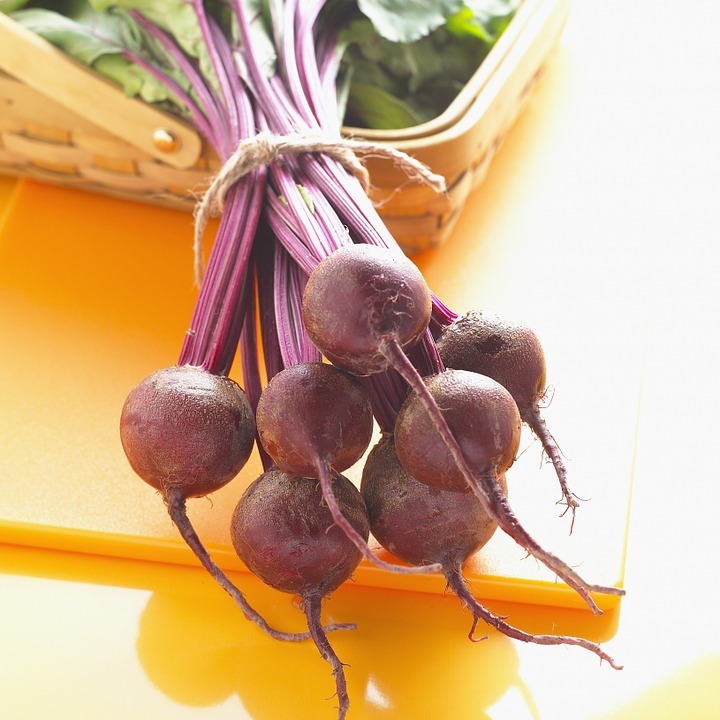 http://foodfacts.mercola.com/sprouts.html" Accessed 09 March, 2015. Jody and Julie. "15 Creative Ways to Use Sprouts." 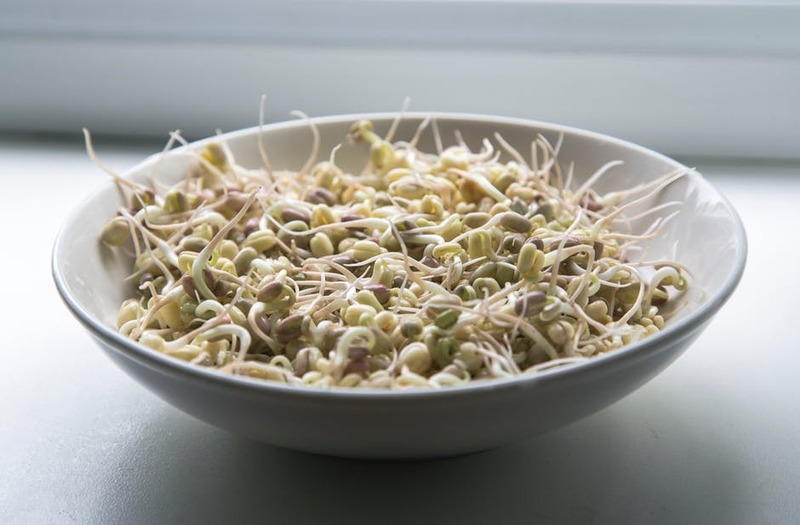 24 August, 2011.
http://foodstoragemadeeasy.net/2011/08/24/15-creative-ways-to-use-sprouts/" Accessed 09 March, 2015. Nature's Remedy for Joint Pain, Leaky Gut Syndrome and Smooth Skin - Beef Gelatin! When most people hear the word "gelatin", they think Jell-O, or gelatin candies like Gummy Bears and Gummy Worms, or they think of gelatin capsules. While those are all uses of gelatin, most people don't know that there are many other, healthier uses of gelatin. Its history began in Ancient Egypt, where it was found preserved in an excavated Pharaoh's tomb, still congealed in a glue-like state. History's first written record of gelatin was in 1682 by a Frenchman of the name Denis Papin, who discovered its tasteless, odorless, and colorless qualities after a series of experiments on the boiling of bones. In the 1950s, it was used popularly in aspic dishes, which consisted of any combination of fruits, vegetables, meats, or other foods submerged and eaten in jellied broth. Manufactured for the first time in 1974, gelatin was used to make jellies, marmalades, and other fruit spreads. Shortly afterward, the popular Jell-O brand emerged - bleached, artificially sweetened and distorted into something entirely unlike its natural counterpart. Made using the hides of cows and pigs, and processed beyond recognition, commercial gelatin has questionable nutritional value, at best. Made at home using the cartilage and bones of chicken or beef, the health benefits and nutritional value is exponentially higher. Surprisingly, for such a colorless, tasteless, odorless substance, gelatin contains eighteen amino acids - sadly, not all of which are essential (i.e. not made by the body and therefore required in our diets). Those that aren't considered essential, however, have been subject to many studies showing that, if not essential, these amino acids should be considered "conditionally essential." Two of these amino acids are glycine and proline. Glycine can be made by the body, but often, due to poor diet (processed/fast foods, hormone-infused meat and dairy, GMOs, etc...) or other health conditions (including injury, arthritis/joint pain, pregnancy, infancy, etc.) cannot be made in large enough quantities satisfy the body's needs. The same goes with proline. The body produces it, but often, due to Vitamin C deficiencies and other factors, the body either fails to produce enough, or the body cannot absorb and utilize it. Gelatin helps to provide these nutrients on a large scale and with a huge amount of benefits. Gelatin has an indefinite shelf-life if uncooked and kept in an air-tight container. The best is Great Lakes Gelatin, the highest quality and least-processed gelatin in the industry, both MSG and gluten free. Their kosher Beef Gelatin (which we carry) will mix easily in room-temperature liquids. Gelatin can be mixed in drinks, smoothies, used to make marshmallows, gummies and, obviously, be made into natural Jell-O. Add it to a drink for an instant protein boost. It can also be used to thicken broths or soups, yogurts, kefir, or sauces. In addition, when added to cow's milk, is of a similar composition to human breast milk. Check out this recipe for an all-natural, organic raw milk baby formula. It can also be used to make homemade hair gel, or used as a shampoo thickener, facial cleanse, or even an egg substitute! NOTE: gelatin should never be microwaved. As with many foods, this can alter the chemical construction of the amino acids in gelatin and make them harmful to the liver, kidneys, and other organs. For more information on ways to cook, store, and mix gelatin in homemade dishes, this is a good place to start. Contact us today to order yours! We ship all over the USA! Reach us by phone at (423) 899-8422 or by email at naturesfinestnutrition (at) gmail.com. Visit us on our website or Facebook! We're always happy to help! Katie - the Wellness Mama. "Twelve Uses for Gelatin". No date. "http://wellnessmama.com/7419/gelatin-uses/" Accessed 13 February, 2015. Linda Stradley. "History of Gelatin, Gelatine, and Jell-O". No date. "http://whatscookingamerica.net/History/Jell-0-history.htm". Accessed 13 February, 2015. Peggy Trowbridge Filippone. "Gelatin Cooking and Tips". No date. "http://homecooking.about.com/od/specificfood/a/gelatintips.htm". Accessed 13 February, 2015. Betsy Jabs. "Benefits of Gelatin in Your Diet". No Date. "http://www.diynatural.com/benefits-of-gelatin-in-your-diet/". Accessed 13 February, 2015. Kaayla Daniel. "Why Broth is Beautiful: Essential Roles for Proline, Glycine and Gelatin". 18 June, 2003. "http://www.westonaprice.org/health-topics/why-broth-is-beautiful-essential-roles-for-proline-glycine-and-gelatin/" Accessed 13 February, 2015. Sugar: Harmless Sweetener or Deadly Drug? In this day and age, sugar has a bad rep. Most people are aware that they should watch how much they eat, but not everyone is aware of the reasons. Most know it adds to their waistline little by little, year by year, but that's only one side effect. There are many more, lesser-known reasons we should seriously avoid sugar and make every effort to eliminate it completely from our diets. 1) Damages your skin. It can harm the already existing collagen and elastin proteins that keep your skin supple and strong, producing wrinkles and sagging. As if that wasn't bad enough, sugar can alter the production of collagen and inhibit antioxidant enzymes. This, in turn, leaves your skin weak, wrinkly, and far more susceptible to sunburn. 2) Prevents Vitamin C Absorption. Similar in structure, glucose (sugar) and Vitamin C battle to get into white blood cells. If there is too much sugar in the blood stream, Vitamin C cannot get in, and the immune system cannot perform its jobs. This leaves the immune system hindered and depressed. 3) Drains the body of nutrients. Since sugar itself has no nutrients, vitamins or minerals, to be metabolized by the body, the body has to use up its own stores, which in turn halts fatty acid and cholesterol absorption. High cholesterol levels, serious vitamin and mineral deficiencies, heart disease, obesity, and diabetes are a few things that can result over time if no dietary change is made. 4) Causes Osteoporosis. As with Vitamin C, Sugar inhibits calcium absorption. This leads to weaker, brittle bones more prone to breakage. After prolonged exposure, sugar can lead to low bone density, rotten teeth, and osteoporosis. 5) Increases your risk of autoimmune and degenerative diseases, such as Alzheimer's and Parkinson's. By inhibiting natural functions and processes, it allows all sorts of havoc to run rampant in the body. 6) Weakens the liver. Regular consumption of sugar leads to a build-up in the liver. This causes the liver to convert it into fat, which leads to clogging. This slows down and can completely stop liver function, causing Fatty Liver Disease and a number of other health issues, including the shutdown of your pancreas. An organ with over three-hundred functions, a stressed liver will cause no shortage of problems. 7) Raises triglyceride levels and bad cholesterol. The higher the sugar consumption, the higher the triglyceride and bad cholesterol levels. In addition, good cholesterol levels drop drastically and the risk of heart disease rises. 8) Triggers the brain the same way morphine does. It meets all the criteria of a drug, and it's in nearly every processed, packaged, and fast food on the market. Sugar addictions are very real and very widespread. Once consumed, sugar sparks a desire for more, and the more eaten, the greater the craving. Bingeing is becoming more and more common, as is obesity. 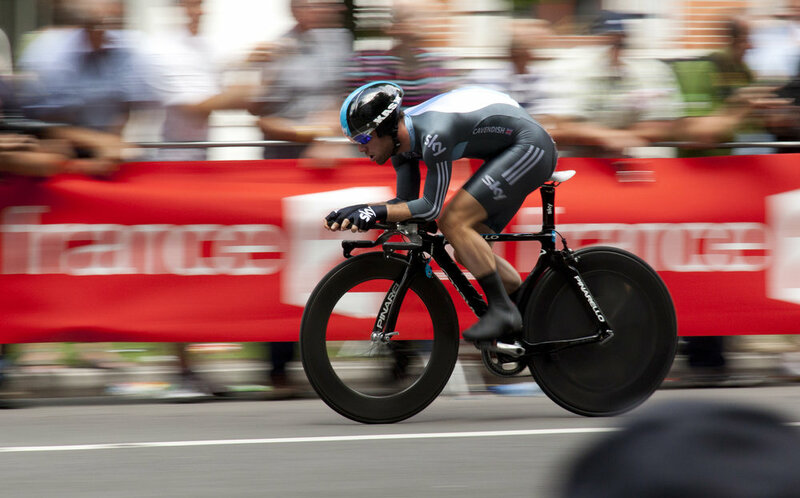 9) Accelerates aging. By damaging cells, sugar causes them - and you - to age faster, increasing the rate of cell death. Couple this with a fatty liver, and the risk of cancer and degenerative diseases skyrockets. 10) Feeds yeast, fungus, and bacteria. This one is pretty self-explanatory. With all the other side effects of sugar, this one shouldn't be surprising. Yeast, fungus and bacteria slurp sugar up. They thrive off of it, and they'll live off anyone who eats it regularly. Eliminating sugar can drastically eliminate these infections. 11) Damages your heart. Not only does sugar raise your risk of heart disease as mentioned above, recent studies have also found that sugar actually alters the heart's pumping mechanisms.It does so by altering proteins, the building blocks for your heart and your body. 12) Feeds Cancer. Cancer uses sugar as its prime energy and food source. Sugar consumption has been linked to breast, prostate, rectal, pancreatic, lung, gallbladder, and stomach cancers, and the list is growing. Safe, natural substitutes for sugar include Stevia, honey, maple syrup, and coconut sugar. Rather than side effects, they each have their own health benefits and can be used in cooking, baking, frying, and more. Why use something that will only poison your body when you can use something that will help it? Sugar has no place in your pantry, much less your body. Think twice before you eat it, or better yet, don't eat it at all. Contact us by phone at (423) 899-8422 or by email (naturesfinestnutrition (at) gmail.com). Or feel free to check us out on our website or our Facebook page. We hope to hear from you soon! Dan Hammer. "Sugar Side Effects Put a Wrinkle on More Than Your Skin!" No date. "http://www.smoothie-handbook.com/sugar-side-effects.html" Accessed 21 January 2015. Corrie Pikul. "The One "Crazy" Thing All Nutritionists Agree is a Good Idea." Published 16 January, 2013. "http://www.oprah.com/health/Sugar-Health-Effects-Sugar-Dangers". Accessed 21 January, 2015. Caryn Talty, M.D. Ed. M.A. "Sugar Withdrawal Symptoms and Duration: What You Can Expect". Published 17 October, 2012. "http://healthy-family.org/sugar-withdrawal-symptoms/". Accessed 21 January, 2015. Kristin Kirkpatrick M.D. R.D. L.D. "10 Things You Don't Know About Sugar (And What You Don't Know Could Hurt You)". Published 30 July, 2013. "http://www.huffingtonpost.com/kristin-kirkpatrick-ms-rd-ld/dangers-of-sugar_b_3658061.html". Accessed 21 January, 2015. Donna Gates. "The 25 Key Reasons You Want to Dramatically Reduce or Avoid Sugar in Your Diet". Published 12 April, 2007. "http://bodyecology.com/articles/25_reasons_to_avoid_sugar.php#.VMAXU0fF_To". Accessed 21 January, 2015. With winter come brisk weather, weakened immune systems and sickness. 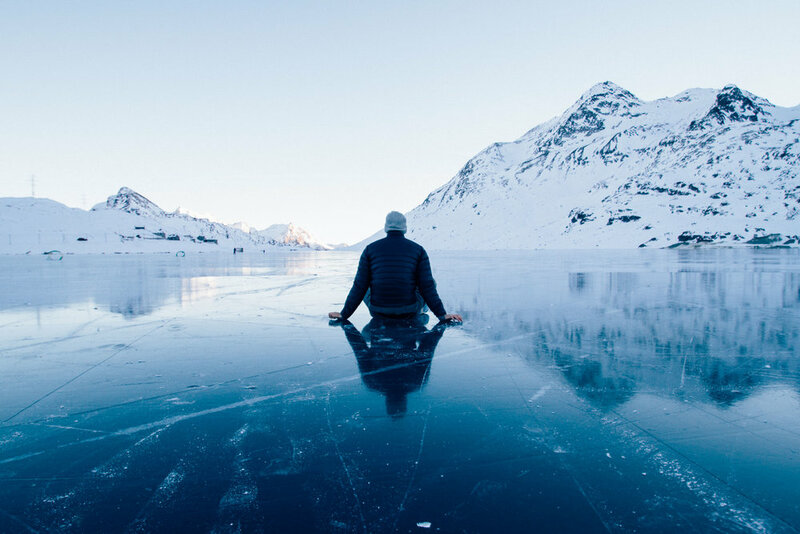 Since eighty percent of your immune health lies in the gut, it only makes sense to ensure you give your gut the best nutrition you can, especially during these cold, chilly months. Probiotics take the top spot on a list of supplements for gut health. There are lots of them out there, lining the shelves of pharmacies and supplement stores, but only one will give you the full nutritional support you need. GNLD’s supplement of beneficial bacteria, Acidophilus Plus, combines potenc y with technology to guarantee that live microorganisms survive the stomach acid and reach the intestine to deliver viable organisms to support optimal digestive and colon health. Each capsule is filled with five billion live microorganisms—as many as in 10 servings of yogurt—all in one daily serving! You receive beneficial bacteria isolated from cultured dairy foods, so you get the benefits without the extra calories from these foods. Acidophilus Plus provides an exclusive blend of five types of clinically provenlactic acid-producing bacteria: lactobacillus acidophilus, lactobacillus bulgaricus, lactobacillus casei, Bifidobacterium bifidum,and streptococcus thermophilus. The exclusive Gel-Gard enteric protection system guarantees deliveryby protecting against harsh stomach acid and ensuring that maximum numbers of live bacteria are delivered in the intestine. This technology involves wrapping the bacteria in a special gel-forming polysacharide, which is insoluble in acidic conditions of the stomach. This is then enclosed in a gelatin capsule. When the capsule reaches the stomach, it dissolves and the contents of the capsule form an insoluble matrix called Gel-Gard. Q: CAN I TAKE ACIDOPHILUSPLUS™ IF I AM LACTOSE INTOLERANT? A: Yes. Probiotics in Acidophilus Plus, though derived from cultured dairy foods, are purified so that the amount of lactose remaining is insignificant to create any undesirable effects in lactose intolerant individuals. In fact, lactobacilli are capable of producing lactase, an enzyme that helps break down lactose and helps the digestion of these foods. Q: DO INEED TO TAKE ACIDOPHILUS PLUS IF I CONSUME DAIRY PRODUCTS? A: Some, but not all, dairy products contain live, active cultures and many are sold suggesting that they are beneficial for our health. Most of these are fresh products requiring refrigeration, and there is considerable doubt as to how many of the live bacteria actually survive in the stomach acid. Taking Acidophilus Plus guarantees that a significant number of live beneficial bacteria are delivered to the intestine. Q: THE PRODUCT LABEL SAYS ACIDOPHILUS PLUS CONTAINS STREPTOCOCCUS. ISN’T THAT THE HARMFUL BACTERIA RESPONSIBLE FOR CAUSING STREP THROAT? A: No. Some good bacteria have names that sound like bad bacteria. Streptococcus refers only on the shape of the bacterium, and has nothing to do with its ability to promote health or cause disease. (strept means “twisted” and coccus means “round.”) Streptococcus thermophilus—the species included in Acidophilus Plus—has been safely used for centuries to produce cultured dairy products. The bacterial species associated with causing strep throat is streptococcus pyogenes. Q: DOES ACIDOPHILUS PLUS NEED TO BE REFRIGERATED PRIOR TO OPENING THE BOTTLE? A: Although not necessary, keeping Acidophilus Plus refrigerated prior to opening the bottle may further increase the shelf life of the product. It must be refrigerated afteropening the bottle to ensurethe potency of the beneficial cultures. Q: CAN CHILDREN USE ACIDOPHILUS PLUS? A: Yes. Anyone who can safely swallow the Acidophilus Plus capsule can take the product and enjoy its benefits. Have any other questions? Want to place an order? Contact us by phone at (423) 899-8422 or by email (naturesfinestnutrition (at) gmail.com). Or feel free to check us out on our website or on our Facebook page. We hope to hear from you soon! As in the milk industry, organic and free-range eggs are often bad-mouthed as dangerous or less beneficial. In truth, organic eggs are a much safer and healthier alternative. For one, the living conditions of commercial chickens are inexcusable. These units, called CAFO’s (confined animal feeding operations), have chickens living in their own filth, often with eleven or so birds crammed into a single cage. Contain traces of arsenic from their genetically-modified (GMO) feed. Commercially-raised chickens are often full of antibiotics. Their eggs, too. Questions? Contact us by phone at (423) 899-8422 or by email (naturesfinestnutrition (at) gmail.com). Or feel free to check us out on our website or on our Facebook page. We hope to hear from you soon! Joseph Mercola, M.D. "The Truth About Eggs - What Commercial Egg Farmers Don't Want You to Know." Published 21 November, 2012. "http://articles.mercola.com/sites/articles/archive/2012/11/21/truth-about-commercial-egg-farming.aspx" Accessed 17 October, 2013. Erica Kannall. "Benefits of Organic Eggs." Updated 01 February, 2014. "http://www.livestrong.com/article/67236-benefits-organic-eggs/" Accessed 17 October, 2013. Ben Kim, MD. "An Organic Egg Really Does Do Your Body Good." Updated 22 March, 2009. "http://drbenkim.com/articles-eggs.html" Accessed 17 October, 2013. WHAT IS OIL PULLING AND HOW DOES IT WORK? Oil pulling is an Indian folk remedy originating thousands of years ago. It involves swishing a tablespoon of oil in your mouth and through your teeth for ten to twenty minutes. This targets plaque by absorbing bacteria and dissolving it before it can become stuck to your teeth. Put about a tablespoon of oil in your mouth. Swish the oil around your mouth for ten to twenty minutes, pushing and pulling it through your teeth to clean every nook and cranny. Spit the oil into a trash can. If you spit into your sink, the oil will harden and clog your pipes. Note: coconut oil can be solid at room temperature, so you may have to wait for it to melt in your mouth before you can begin swishing. For best results, do this on an empty stomach. Don’t swish too forcefully. If the muscles in your mouth become sore, lighten up for a few minutes. You may also try experimenting with less oil if the soreness continues. It’s important to spit out the oil. You don’t want to swallow it because it is full of bacteria and nasty things. Kris Gunnars. 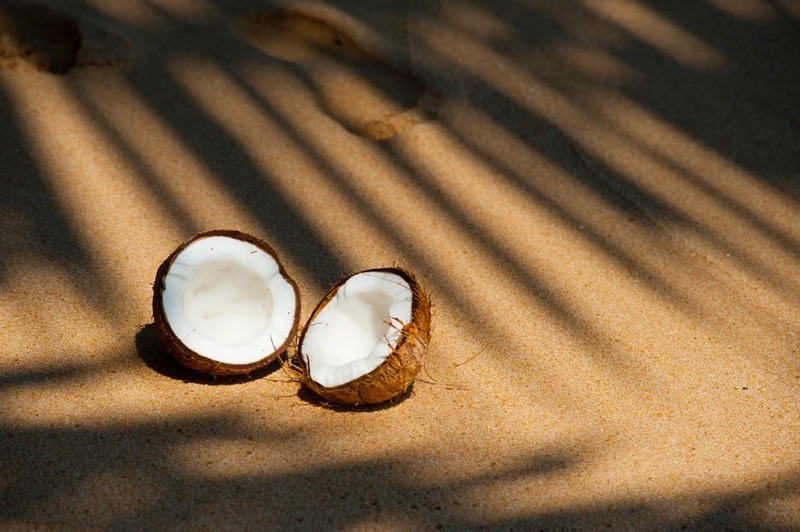 "Oil Pulling With Coconut Oil Can Transform Your Dental Health". No date. < http://authoritynutrition.com/oil-pulling-coconut-oil/ > Accessed 08 October, 2014. Dr. Daisy Sutherland. "The Benefits of Oil Pulling". Published 17 July, 2012. < http://drmommyonline.com/the-benefits-of-oil-pulling > Accessed 08 October, 2014. Dr. Edward F. "The Health Benefits of Oil Pulling". Published 09 April, 2011. Updated 05 March, 2014. < http://www.globalhealingcenter.com/natural-health/oil-pulling/ > Accessed 08 October, 2014. Himalayan Salt vs. Table Salt: Which is Better? While many people are aware that regular table salt is bad for you, they assume all other salts must be, too. That’s simply not true. Pink Himalayan salt has a plethora of health benefits and a great flavor, too. Below are some benefits of the pink Himalayan salt above some health concerns that arise from table salt consumption. builds up in the body where it can cause nerve damage. 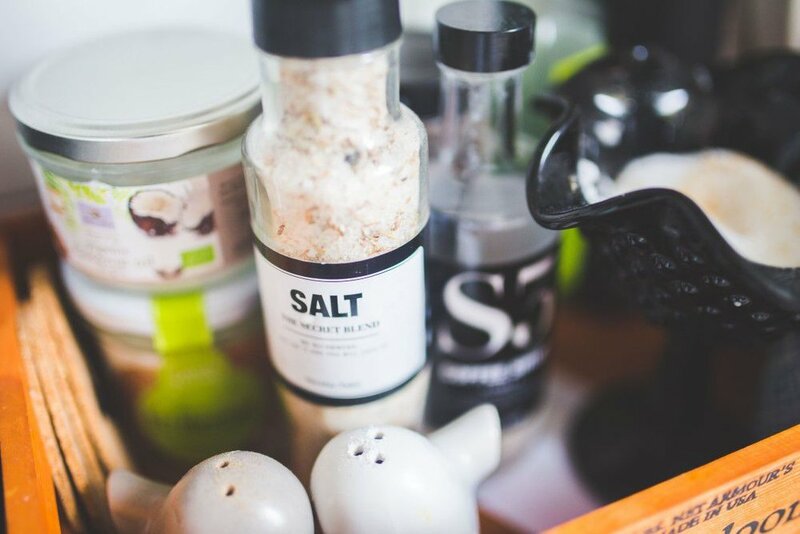 When it comes to deciding which salt to use, the answer is pretty simple. Why use one that merely harms your body, when you can use one that will benefit it instead? At Nature's Finest Nutrition, we carry a high quality Pink Himalayan Salt at a very reasonable price. To order or contact us with other questions, call us at (423) 899-8422 or contact us by email (naturesfinestnutrition (at) gmail.com), or feel free to check us out on our website or on our Facebook page. We hope to hear from you soon! Maria Danne. “What Are the Health Benefits of Himalayan Salt?” No date. Updated 08 June, 2014. http://www.livestrong.com/article/26690-health-benefits-himalayan-salt/ Accessed 05 March, 2014. Dr. Edward F. Group III, DC, ND, DACBN, DCBCN, DABFM. “The Benefits of Himalayan Salt.” Published 15 May, 2009. Updated 31 July, 2014. <http://www.globalhealingcenter.com/natural-health/himalayan-crystal-salt-benefits/ > Accessed 05 March, 2014. Dr. Joseph Mercola. “The 13 Health Benefits of Himalayan Crystal Salt, the Purest Salt on Earth” No date. <http://products.mercola.com/himalayan-salt/ > Accessed 05 March, 2014. You want to make sure your oils are GMO-free, and either cold-pressed or extra-virgin. This basically ensures they are unprocessed and in the most natural form available. If you can afford to pay the little extra for organic, that ensures an even higher quality and supply. Questions? Contact us by phone at (423) 899-8422 or by email (naturesfinestnutrition (at) gmail.com). Or feel free to check us out on our website or on our Facebook page. We hope to hear from you soon! Dr. Josh Axe. "Stop Using Canola Oil Immediately." No date. <http://draxe.com/canola-oil-gm/ > Accessed 26 June, 2014. Cindie Leonard. "There is the Good, the Bad, and the Ugly." 16 July, 2009. <http://www.naturalnews.com/026630_oil_canola.html > Accessed 26 June, 2014. Shona Bates. "Side Effects Result from the Consumption of Canola Products." 2 March, 2011. <http://www.naturalnews.com/031550_canola_oil_side_effects.html > Accessed 26 June, 2014.
was used historically to cure several chronic diseases. is full of antibodies, which help fight allergies, asthma, and viral and bacterial infections. CAN be digested by those with lactose allergies or intolerance. contains CLA, which boosts the metabolism, reduces resistance to insulin, and lowers food allergy reactions. is rich with fat-soluble and water-soluble vitamins and minerals. is composed of 60 types of enzymes. has 3 mg of good cholesterol for brain, liver, nerve, and blood health. contains saturated fats, which trigger a feeling of fullness and satisfy hunger. contains 26.6% less calcium than raw milk. has 25% less vitamin B-1. contains 300% less vitamin C.
cannot be consumed by people with dairy allergies. destroys essential amino acids in processing. kills certain enzymes naturally found milk when it goes through the pasteurization process. kills certain good bacteria that make milk last longer, and therefore sours quicker. Versatile, tasty, and packed with probiotics, it's safe to say raw milk is the better of the two. It can be harder to access, however, so be sure to check your state guidelines on the purchase of raw milk. Anonymous. "The Health Benefits of Raw Milk." 21 June, 2012. <http://www.raw-milk-facts.com/raw_milk_health_benefits.html> Accessed 14 September, 2013. Northrop, Alyssa. "Benefits of Raw Milk." Updated 13 April, 2014. <http://www.livestrong.com/article/370513-benefits-of-raw-milk/> Accessed 14 September, 2013. In the hustle and bustle of our daily lives, it’s easy to throw food in the microwave without a second thought. After all, they’ve been in our homes for over forty years! But are they safe? Recent studies suggest otherwise. What do microwaves do to our food? What do microwaves to do us? Standing a foot away from a microwave can expose you to 400 milliGauss. And exposure to only 4 milliGauss has been linked to leukemia. Perhaps scariest of all, is the fact that there are no longer any existing control groups to test the amount of radiation spilling from microwaves, as all human beings are regularly exposed to radiation. So, what next? If microwaves are dangerous, as this information suggests, what do we do? The answer is simple. Eliminate the use of your microwave oven as much as possible. Heat food on the stove or in crock pots as often as your schedule will allow, and try to implement more raw foods in your diet. You'll feel much healthier if you do! Have questions? For more information on this or ways to protect yourself from free radical damage, contact us at (423) 899-8422 or at our website <naturesfinestnutrition.com> We're always happy to help! Glycemic Edge Technology - Sweetened with fruit to ensure quick, sustained energy. 3x Herbal Tea Blend - A blend of Ginseng, Chamomile, and Passion Flower that has been shown to help relax, soothe, and It also balances inflammation, improves appetite and digestion, reduces flatulence, calms spasms, increases stamina and endurance, boosts cognitive function, lowers blood pressure, and more! Gel Only - NeoLife uses only the gel (the active ingredient) in the Aloe plant. This ensures maximum efficacy. Aloe Vera Plus provides the highest quality and purity available. Cindy R. I had poor digestion, a rash on my leg, and pain in my knees. I started taking Aloe, Salmon Oil, Tre, and Intestinal Soothe & Build and I felt so much better! Within 6 months, my triglycerides dropped 50 pts! I plan to stay on these products. They really work! Leighton T. I was diagnosed with Crohn’s disease. The Aloe and Intestinal Soothe and Build help me so much with healing and rebuilding. Thesa M. I have had heartburn for weeks. After ½ oz of Aloe I had complete relief. Mark J. I got food poisoning. My fever ran 103 and I couldn’t eat at all. I took GNLD’s Aloe and it made me well. Now I use it for acid reflux. It tastes delicious! Linda B. One Thanksgiving Day I burned myself when cooking. My husband put GNLD Aloe Vera on the burn, and it took away the pain and left no scar. We have had tremendous success using Aloe Vera for a number of health issues and have a plethora of satisfied customers. If you have any questions about Aloe, feel free to contact us by phone at (423) 899-8422 or at our website, naturesfinestnutrition.com. Root, Planet Green, Jessica. "40 Amazing Uses for Aloe Vera!" 03 January 2012. HowStuffWorks.com. <http://health.howstuffworks.com/wellness/natural-medicine/herbal-remedies/amazing-aloe-vera.htm> 23 April 2014. Most people know that apple cider vinegar with the mother (a naturally-occurring bacterial foam containing enzymes and minerals) is beneficial to their health, but not how. Here’s a list of the many benefits and below that, a list of practical uses and directions. PRACTICAL USES: • An effective, yet gentle all-purpose cleaner. • Cures hiccups. A spoonful stops them in their tracks. • A mouth rinse to whiten teeth and eliminate bad breath. • Fade bruises. Dab the bruise with Apple Cider Vinegar or use a compress. • Salad dressing! Make a half and half mixture with olive oil for a tasty, zingy flavor. • Make your hair shine by mixing ½ tablespoon of Apple Cider Vinegar with a cup of cold water and rinse through your hair after shampooing. • Remove skin tags. Dab a cotton ball with Apple Cider Vinegar on the skin tag two or three times daily. The skin tag will turn black and fall of painlessly in a few days. • Get rid of warts! Soak a cotton ball in the vinegar then fasten it over the wart with a Band-Aid overnight. The wart will fall off. Continue treatment for a few days to ensure the wart doesn’t return. • Soothes sunburn. Add Apple Cider Vinegar to your bath and soak for ten minutes. • Repels fleas. Spray and rub into your pet’s fur. Do this for several days. • Use it to clean toilets. Pour Apple Cider Vinegar into the bowl and let it sit overnight. The acid will scrub the inside of the toilet clean. Flush in the morning. • Eliminate dandruff. Apply a half and half mixture of Apple Cider Vinegar and water and apply to the scalp. Allow this to sit for an hour or two, then rinse. Have any questions or other suggestions? Any other ways you use Apple Cider Vinegar in your home? Let us know! We'd love to hear about it. Comment below, contact us by phone at (423) 899-8422, or email us at (naturesfinestnutrition (at) gmail.com). You can also check us out on our website or on our Facebook page. We hope to hear from you soon! Leah Webber. "Apple Cider Benefits." Published 13 March, 2014. < http://www.livestrong.com/article/377670-apple-cider-benefits/ > Accessed 09 April, 2014. Alyssa Jung "13+ Benefits of Apple Cider Vinegar." No date. < http://www.rd.com/slideshows/apple-cider-vinegar-benefits/#slideshow=slide14 > Accessed 09 April, 2014. Jawairia Zafar, OCT. "Apple Cider Vinegar Health Benefits." Updated 24 June, 2014. < http://www.homeremediesweb.com/apple_cider_vinegar_health_benefits.php > Accessed 09 April, 2014.